What does the Turing Test actually tell us? Posted May 23, 2013 by grohling & filed under Events. This is the highlight event of our year and is again kindly hosted by Sophos in their global headquarters in Abingdon. As summer may finally be with us by then, we will be serving cloudy lemonade, non-alcoholic fruit punch and strawberry tarts with cream before the talk. The Spam and Lettuce bar will also be open afterwards. The talk is based on a practical example of the Turing Test which Kevin originally staged at Bletchley Park on 23rd June 2012, the 100th anniversary of Alan Turing’s birth. Can you tell the difference, in conversation, between a human and a machine? Results from practical Turing Tests are used to show how some of the top philosophers and computer scientists have often made a complete pig’s ear of it. You’ll also be given lots of opportunity to show if you can hack it yourself or not. But there’s a lot more to the Turing Test than meets the eye. In terms of communication, it’s not just about how well machines can perform; it also shows how humans are sometimes not as good as we may think. 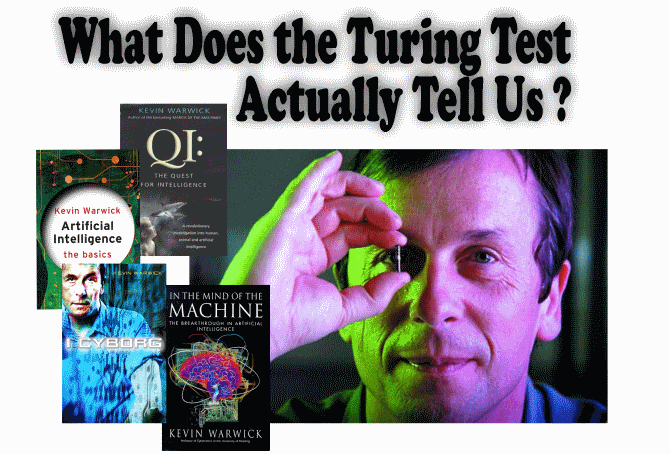 If you don’t know much about the Turing Test then this is for you. If you think you ‘understand’ all about it then this will make you think again. A cool evening of Turing reflection!! Attendance Warning: Machines with open minds are preferred to humans with closed minds. Professor Kevin Warwick from Reading University is a popular author and commentator on artificial intelligence. The meeting is on Thursday 20 June, doors open at 6:30pm and the talk will start at 7:15pm. The meeting is being held at Sophos plc. The Pentagon, Abingdon Science Park, Abingdon OX14 3YP. Refreshments will be served from 6:30pm onwards and the Spam and Lettuce bar will be open after the talk. The meeting is open to non-members and is free.